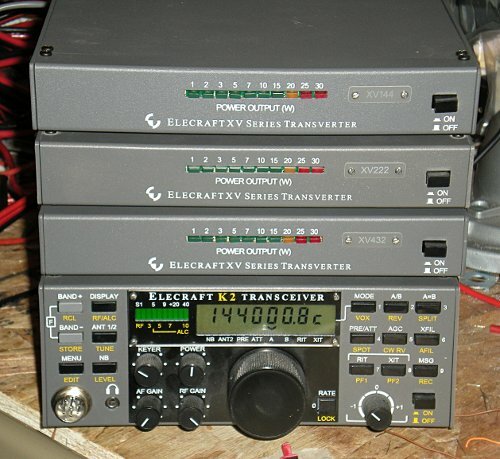 My transverters were not talking to my K2 as I trying to work through the initial alignment at the workbench. After some testing and a couple of emails with the Elecraft reflector it was pretty simple. Dooh.... the plastic shell on the DB9 connection was not allowing the pins to go far enough into the connector on the radio. It turns out that I needed to move the connector to the forward slightly in the DB9 case to a different notch. That slight tweak in the alignment solved the connection issue. When time permits I will need to work through the alignment steps. With some luck maybe I can get them tested and on the air this weekend.